After the devastating Typhoon Cobra shredded the Task Force in late December, the ships hunkered down in Ulithi. On December 30, the ships left Ulithi to dust up Formosa again. Their immediate path led them to enter the South China Sea north of the Philippines. 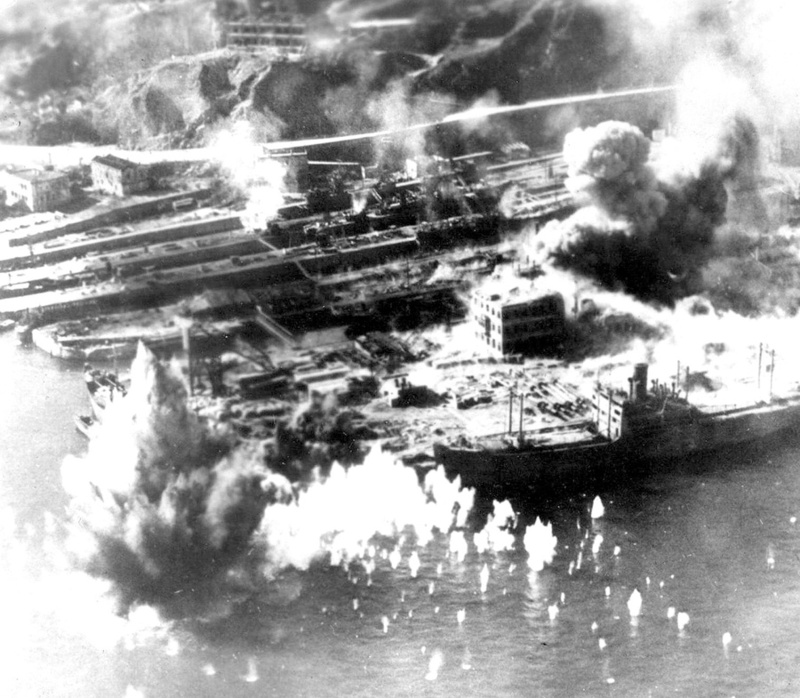 The remains of the Japanese Fleet were reported to be at rest near CamRahn Bay. Halsey, ever-itching for a ship-to-ship battle against the enemy, jumped at the chance. They had enough time, since the invasion forces for Iwo Jima were en route, but still weeks away from reaching the Bonin Islands. January 12, 1945: This morning we are probably on our largest operation so far. We have been heading north through the China Seas for a raid on a base the Jap fleet uses in French Indo China. We may bombard Saigon Bay. We will probably be in sight of land, and get a glimpse of the Asiatic continent, completing the trip across the Pacific. It is still dark and we may not have been discovered.